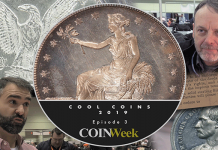 2019 is off to a fast start, with world coins taking center stage and dominating the show in The Big Apple. 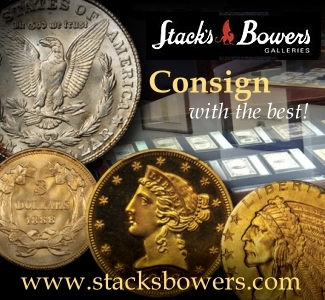 Nearly simultaneously, world coin auctions held by Stack’s Bowers, Goldberg’s and Heritage are ringing in the new year in New York City. 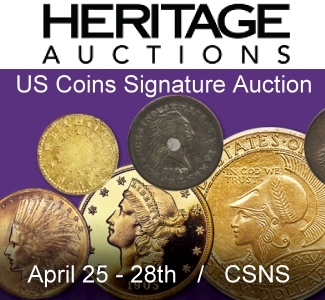 Yet as I sit at my desk in a rather frigid New Hampshire, temps just now in the low teens, I have pulled up the Heritage NYINC World Coins Signature auction on my computer. 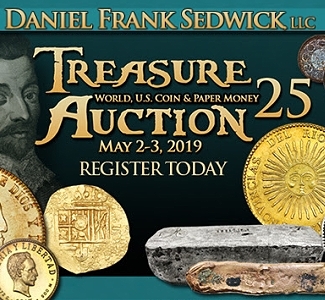 I very much enjoyed viewing the live auction feed from New York: I still marvel at the ability to watch and participate “live” remotely from anywhere! All four sessions of this noteworthy event have been completed for this first major sale of 2019, culminating with a powerful $7.8 million USD generated in the Platinum Night sale alone on January 7, bringing the total two-day proceeds to $15.3 million! 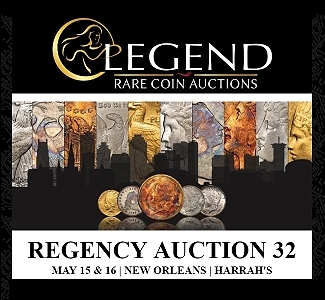 Quality world coins remain a hot property as numismatic artifacts from the ancient world through the early 20th century caused a flurry of excitement when they were announced. 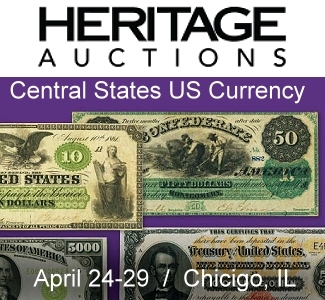 Consider this: the Heritage 2019 NYINC sale per lot proceeds is equivalent to nearly $7,000 per coin! 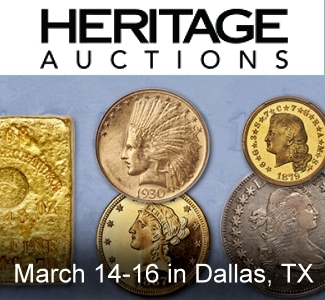 In total, 15 fantastic and historic lots exceeded six figures in the coin auctions, with the NGC-graded Netherland East Indies Gold Pattern Ducaton from United East India Company dated 1728 leading the way, realizing a formidable $336,000. This large gold pattern from the Dutch colony is massive and exemplary in execution and presentation, as both the obverse and reverse of this 42mm golden treasure command attention to its superb state of preservation! The obverse, featuring a sword-wielding cuirassed armored rider on horseback, is a joy to behold. The reverse dual lion-flanked coat of arms makes for a visually powerful statement. Please take a close look at this scintillating piece. 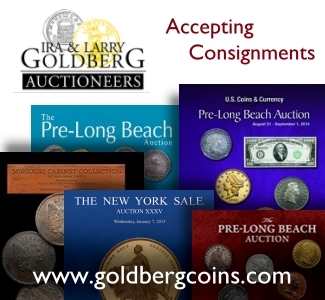 Coins of the ancient world were also very well-represented in the coin auctions. 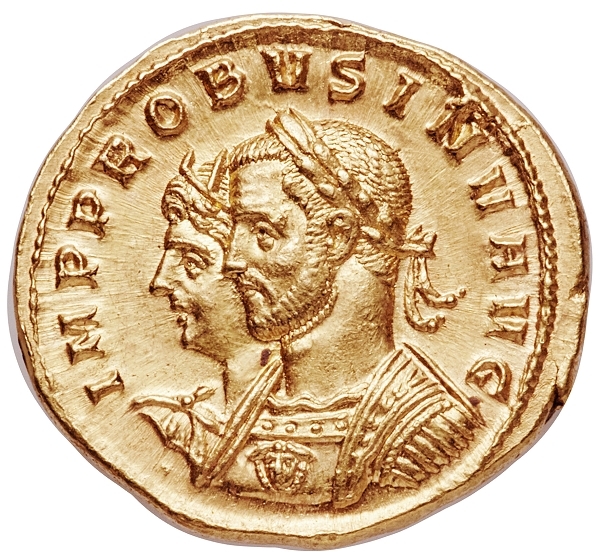 Leading the way was the Roman Empire, as three gold aurei each muscled over six figures. It was this exquisitely preserved Probus (276-282) gold aureus, graded NGC Ancients MS ★ 5/5 Strike, 4/5 Surface, which took home top honors at $156,000 courtesy of a live-floor bidder. This fantastically preserved nearly 1,800-year-old aureus is truly a marvel to behold. Fresh golden luster radiates from the conjoined busts of Probus and the god Sol, and the seated Securitas glows on the reverse. Per the cataloger, there are only nine known examples struck from one observe die and two reverse dies. 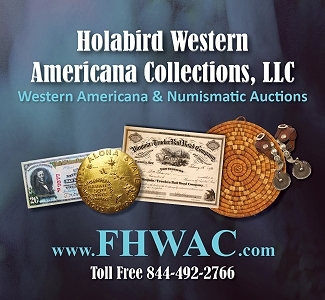 After I finally pried my eyes away from this prestigious lot, I reviewed this marvelous catalog and have selected a grouping of other special and exciting pieces from the 2019 Heritage NYINC sale. Another golden beauty, this from Great Britain, is a mind-boggling 1741/38 George II 5 Guineas, graded NGC MS 64★, which realized $240,000. 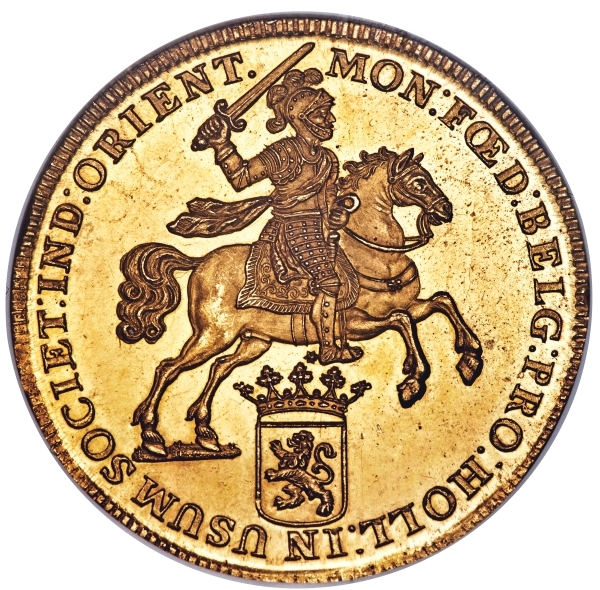 Another massive gold coin similar in size to the Netherlands East Indies Ducaton, this “business” strike from the early 18th century had to have had its share of luck to remain this mesmerizing jewel-to-the-eye. 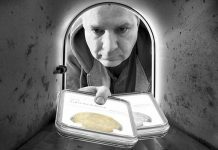 It was just sold to a live-floor bidder on January 7! There was yet another superbly preserved gold coin from Great Britain. Although within the series it is considered a common-type coin, this 1798 George III Gold Guinea is an astounding NGC-graded MS 66 which realized $4,800. 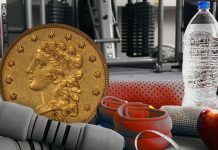 While numerically the coin deservedly grades the highest of any seen by any major grading service, it is the eye-appealing presentation of this radiant, frosty gold coin from the Mother country that is unbelievable. I could only imagine if a similarly preserved US gold coin counterpart Half Eagle of the same time period were to appear in this grade, what price it would have realized. Another Commonwealth country gold coin, a “modern” issue from Canada, the rare 1916-C George V Sovereign, graded NGC MS 61, realized an impressive $22,800. Always in demand, this highly coveted World War I issue is estimated to have only about two dozen survivors in all states of preservation! 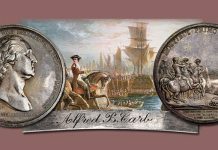 A superb, rarely encountered Mexico 1733 MX-MF Philip V4 Reales, graded NGC MS 63, captured $15,600. This enigmatic “pillar dollar” design is a numismatic classic. Anyone who has ever picked up a Red Book is instantly familiar with the design, as the big brother 8 Reales “Pillar Dollar” (and its smaller denominations) traded freely in the US until 1857. 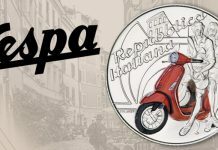 While I enjoy the 8 Reales, I have always preferred the “half dollar”-sized (or 4 Reales) with this design! Here is an ultra-rare, modern-era shilling from Great Britain. This 1953 coronation issue for Elizabeth II has always been a popular denomination and is quite plentiful in standard circulation issues, as nearly 42 million “English Crest” coins were struck and brilliant proofs were produced to the tune of 40,000 for collectors. 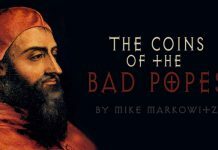 However, matte proof coins were struck specifically for use in photographic presentations, and it is believed that only 1 or 2 matte proof coins exist! Perhaps unique, this 1953 Great Britain English Crest Shilling, graded NGC PF 64 Matte, roared to $8,400. What a coup for the modern shilling enthusiast of this inaugural year of this longest-reigning monarch! 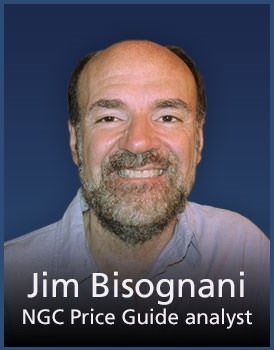 Wow, there is no let-up! As this article posts, the 2019 FUN Show is underway in Orlando! 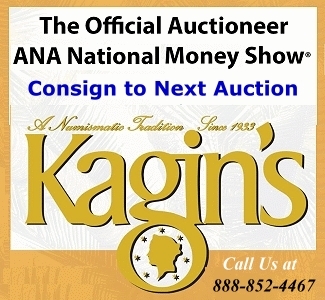 As always, a bellwether show with marvelous and historic auctions to review!